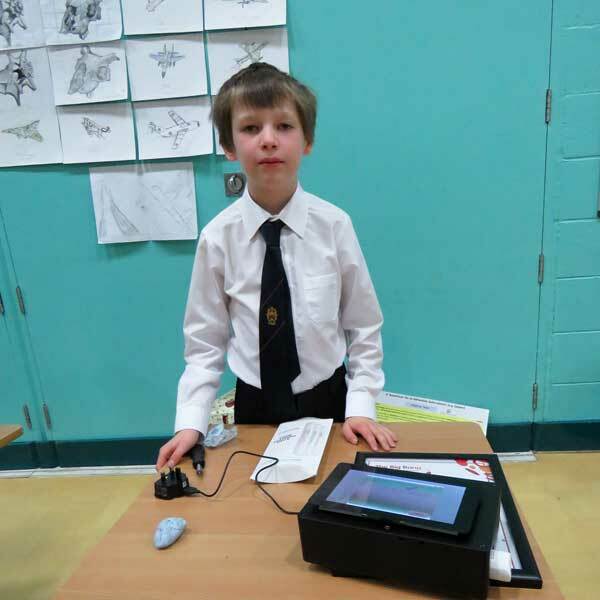 Year 8 Matthew has been coding since he was “about five” – which is probably why his Smart Epipen Case won not only last year’s Junior Rosebowl competition, but also the Junior Engineering Prize in the Big Bang UK Young Scientists and Engineers Competition 2017-18. Matthew decided to design the case because “I am good at coding – and I have a peanut allergy so I have an epipen, and I wanted to design a smart case for it”. The design and coding took Matthew approximately six months to complete. He will attended the finals of the Big Bang competition in March 2018 and, in the meantime, added a temperature sensor to his epipen case. Matthew’s favourite subject at school, not surprisingly, is ICT – and his favourite coding languages are Scratch and Python. “I love ICT because, as you programme, you can learn from your mistakes”, he says. He has helped to set up the Blue Coat coding club, which runs on Thursdays – but he has also found time to join the Tech Crew, and he is an active member of the Chess Club.